Why Upgrade Your Lighting in Newington, CT? Lighting is not only about the functionality of seeing a room or object in the dark. It’s not only for navigating your property after the sun goes down. In addition to its functionality, lighting can also add aesthetic charm to a room or landscape. The right lighting can be a soothing presence in a room where you need to relax or entertain guests. Whether you need to increase the light in the darkest corners of your home, or maximize the feng shui of your home, upgrading your lighting is a great way to make your home more livable of you, your family, and your guests. In this post, we’d like to share some lighting upgrade options. 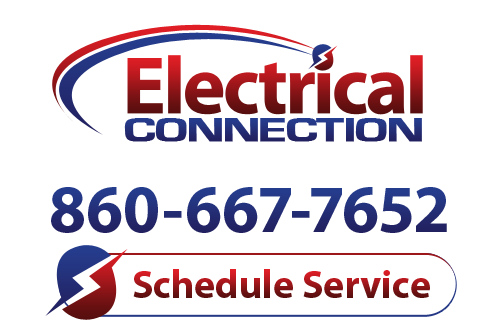 For lighting in Newington, CT, look no further than the expert electricians at Electrical Connection. Call us today! Art lighting: Do you have extensive family photos on the wall? Are they easy to see? If you’d like your guests and family members alike to see your photos better, then you need to make sure they’re well lit. Illuminating the pictures on your wall allows your memories to stand out. Furthermore, using lighting to highlight architectural features or to guide your guests up and down the stairwell is a great way to add mood and character to your home. Security lighting: We know how serious and important the security of your home is. Security lighting is a great deterrent to unwanted intruders, and can be comforting to your family. In particular, installing outdoor motion lights around the house is a great option. Moreover, installing timers on your indoor lights for when you go on vacation is also a great security feature. Under cabinet lighting: Are you tired of looking into dark cabinetry when you’re trying to find a dish, pan, or salad bowl? Under cabinet lighting not only looks good, and helps you keep your kitchen cabinets orderly, it also reduces frustration in the kitchen. Whatever your lighting needs, make sure you hire a certified and reputable electrician for any work on your home. For superior lighting in Newington, CT, call Electrical Connection today!